Rahul Kumar from Haridwar, B.E. - B.Tech Graduate. EXPERIENCE IN SUPERV.. ELECTRICAL PLUMBING AND OTHER TOOLS AND.. 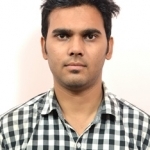 DRAFTING REPORTS AND CREATING BUDGET..
Rahul Kumar is working in Engineering Project Mgmt./Site Engg./Civil Engg./Construction industry.